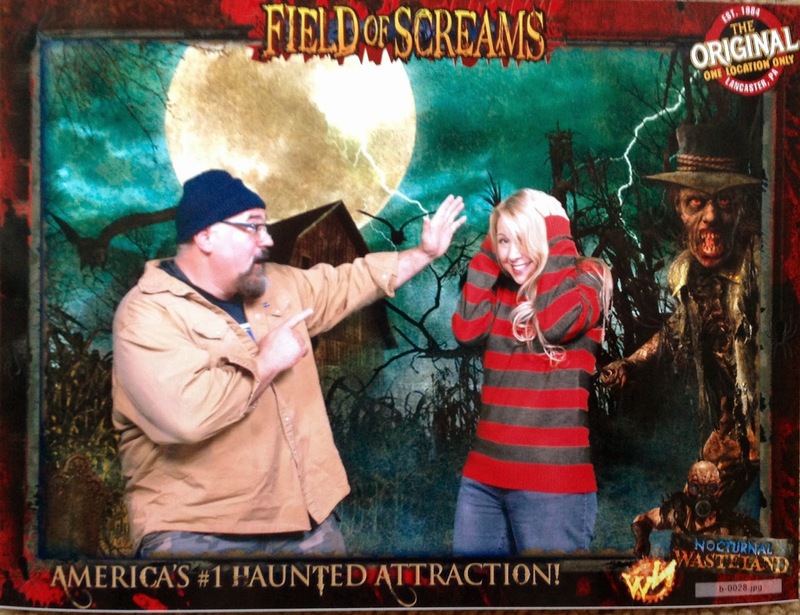 On a clear and chilly October eve, fellow Paranormal Pop Culture writer, Dr. Spectre recently joined me for a trip to Lancaster County Pennsylvania's Field of Screams. There are several of these haunted attractions to choose from these days so standing out is key, and Field of Screams does not disappoint in that department. Set in a cornfield at 191 College Ave, Mountville, PA, four different but equally creepy haunts awaited us...as well as terrifying clowns, chainsaw-weilding maniacs and a mini carnival atmosphere with food and games. We tackled all four of the haunts but the beauty is, you can pick and choose if you don't want to do all of them. I highly recommend going for it, especially if it's your first time. I won't be going into lots of detail about what awaits...that'll spoil all your fun. We decided to start with the Frightmare Asylum and were welcomed by some delightfully disturbed patients. They were nothing compared to the sadistic doctors and nurses that couldn't wait to admit us permanently. Tons of visual, olfactory (yep, smells), auditory and tactile experiences awaited us not only in the asylum but the other attractions as well. Next we headed to the second indoor haunt, the Den of Darkness. Described as, "...a 3 story building that was built in the early 1800's and then converted into a farmhouse. The dark and mysterious past of the Den began when the Murter family moved in. Many people were tortured in the twisted man's dusty farmhouse and the blood still stains the ground." Butchers, monsters, skeletons, clowns, body parts...what's not to love? When night falls, the Nocturnal Wasteland is the place to be. The newest haunt debuted in 2013 and I had the pleasure of attending last year as well. I must say, the apocalyptic nightmare only got better. 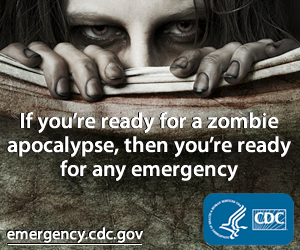 You're outside on a walking trail of terror full of mutants and threats and there's nowhere to hide. The best way to top that off (if you make it out), is the wonderfully demented Haunted Hayride. It felt good to sit down and relax in a bunch of hay while a tractor takes you on a jaunt through your worst nightmares! I won't tell you exactly what I saw, but it ain't pretty and that's what makes it one of the best hayrides in the world. Since I attended this attraction last season, I was pleased that it didn't fail to make me scream and enjoy myself this year too. They upped their game and added new sights, but the rates are still reasonable, the ample parking is free and the staff are helpful and friendly (unless they're trying to murder you). Click here for tickets to make your Halloween season extra spooktacular (sorry, I had to use that word at least once) and consider upgrading to the VIP ticket to avoid the long lines. If you do attend, let us know about what you thought of the experience!